We hired Andrew for our kitchen renovations. He installed new potlights in the kitchen, and new pendants above our island. Overall, Andrew was very easy to work with, and thoroughly discussed all the options for our kitchen so that we could make the best decision for our layout. He also installed new potlights in our living room. We went through many itterations of price quotes, as our needs changed before the installation, and Andrew was always patient and able to provide the updated info. After the pendants were installed, and we weren't 100% happy with the final placement, Andrew took the time to move 2 of the 3 pendants to ensure we were completely satisfied. Overall great experience, and would recommend him to anyone looking for electrical work. I'm glad I'm very pleased to hear your favourable review of my services; it is a great reaffirmation that I'm on the right path with my clients. I lost power in my old house, second floor and Lit Electric team came with quick response and proper fix. Andrew located a disconnect in electrical wiring, replaced old outlets on my request as well. I am very happy that issue was localized quickly. I had concern that the wall, ceiling drywall will be damaged and I need repair. However, all work done without any wall damage. It was second time I used Lit Electric service and I am very satisfied with results. I'm glad that we were able to help you out In both of our visits and were able to meet/exceed your expectations. I also greatly appreciate the fact that you recognized the challenges posed as we were going up and down the stairs testing the affected devices to locate the damaged wire. Unnecessarily cutting drywall is never my go-to, and that extra moment of troubleshooting can make all the difference between having to patch or not. Hi Hugh, I'm glad we were able to help light up your lives. The new lights definitely look great. Looking forward to working with you again. Andrew has completed three electrical projects for us and we would definitely hire him again and wholeheartedly recommend his services to friends. 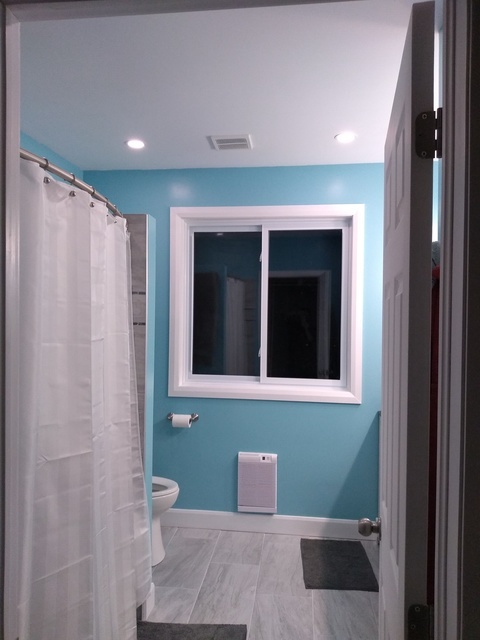 Andrew did the electrical when we finished our basement, installed a transfer switch for our generator, and most recently did the electrical for our upstairs bathroom addition. He does a great job for a very fair price and he is always pleasant to have in our home. He’s friendly, punctual and a very hard worker. 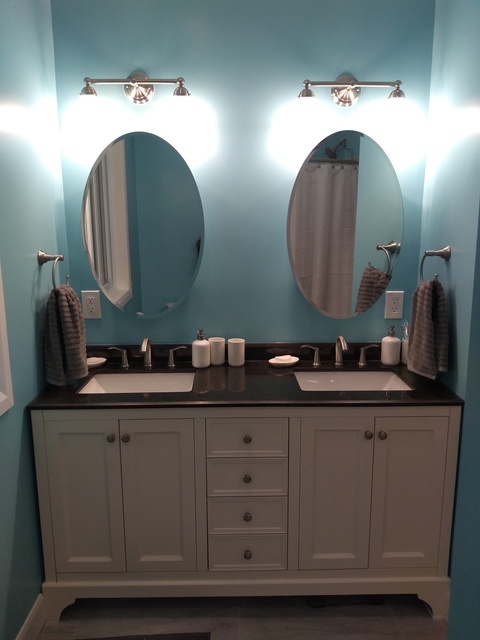 With this most recent renovation, my husband and I had thought to just have LED potlights and Andrew pointed out that we would want a softer light above the vanity mirror. We are so pleased with how his suggestion turned out and so happy to benefit from Andrew’s expertise. 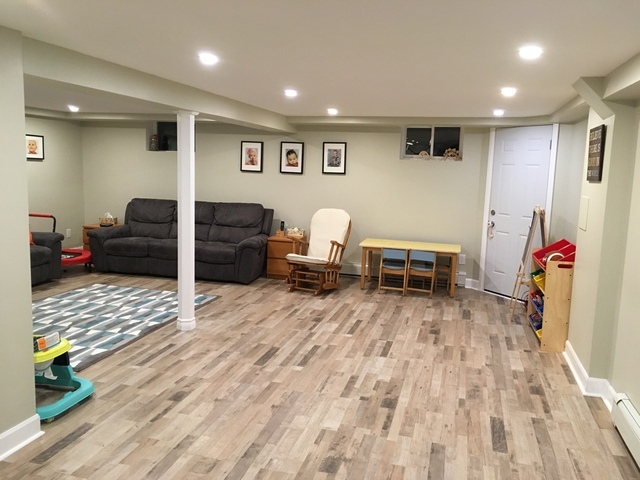 The room looks fabulous in large part because it is lit so well and we feel the same about the lights in our basement that Andrew also installed. If you are looking for a great electrician, we highly recommend hiring Lit Electric. Marge, I very much thank you for the time and thoughtfulness that you put into writing such a kind review. Once again, I'm pleased be a small part of creating the home that you and your family call "home;" and that I was able to provide a quality service worthy of your glowing review. Lit Electric has completed two jobs for me and I was very pleased both times. They are skilled electricians and also tidy, organized and polite. They don't cut corners, got the ESA cert. quick both times. If you want a job done right call Lit Electric. There's no greater testament of client satisfaction, than that of a repeat customer, other than such a kind review left on HomeStars. Thank you, I'm very glad that I could again help you out with your electrical work. I can’t say enough good things about Andrew. My wife and I are finishing our basement (mostly by ourselves, but I didn’t dare touch the electrical part). 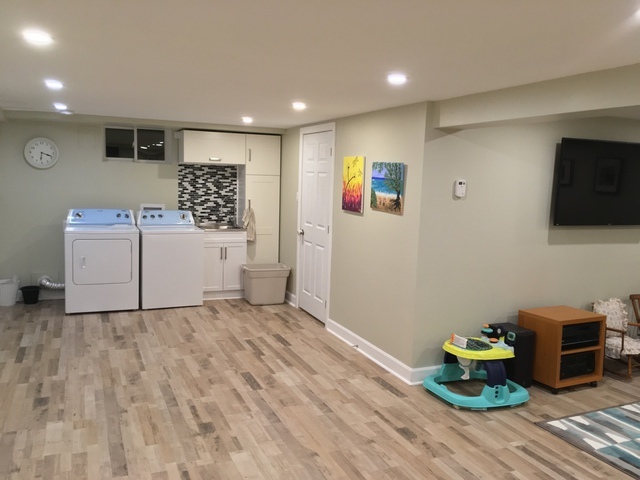 We had Andrew completely wire our basement from scratch and install 19 LED pot lights. When he came to give us a quote, he listened to what we wanted and offered great suggestions as well. As part of his quote, he incorporated some time to clean up the exposed wiring that went up to the main and second floor (something that was really needed before we installed the basement ceiling). This part of the job took longer than what was accounted for in the quote, but Andrew stood by his original price. He is definitely “one of the good ones” in the world of contracting. He is honest and friendly, paid attention to detail and gave us a wonderfully wired basement. The overall cost for the quality work that he did is unbeatable in my opinion. I have been recommending him to our friends and would certainly highly recommend him to anyone looking to have electrical work done in their home. The work was also fully inspected by the ESA with no issues at all. Hire this guy! Many thanks to you as well Joe, for the kind compliments and for your appreciation of our hard work. 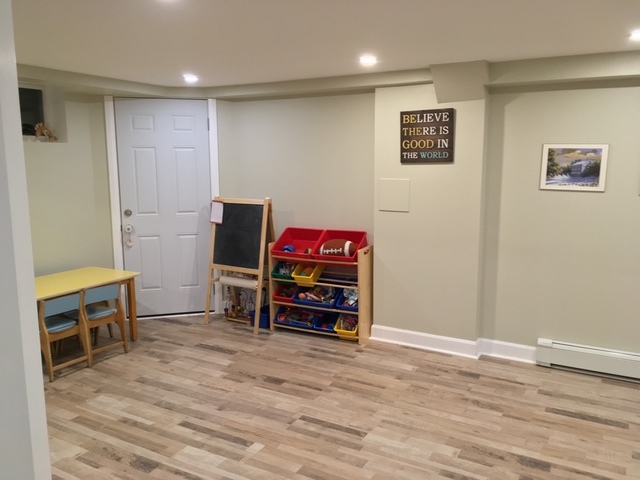 It can't hurt that your family drywaller/framer and design coordinator did such a great job to help give your basement a "show-room" look... Your kids will appreciate those 19 potlights someday. It was a true pleasure to have you as a customer. I would highly recommend Lit Electric. The work was all excellent, and done in a very timely fashion. Andrew was professional, and very knowledgeable about what had to happen, and the scope of the project. I was impressed by his ability to get the project done on time, and on budget. He even came out to fix an issue that I was having - right away. Would highly recommend to others. While we are a relatively new company in the Ottawa area, don't let the word "new" fool you into thinking that we aren't experienced. With over 40 years combined experience between my business partner and myself, we have what it takes to solve your wiring needs.